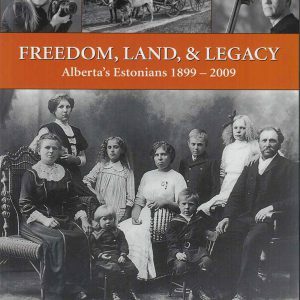 Alberta’s Estonians, our 30-minute DVD was professionally produced by Polar Bear Entertainment Inc. of Edmonton, Alberta. It premiered in August 2007 in Los Angeles and was shown at the Toronto EstDocs Film Festival in October of the same year. In English. They crossed an ocean…and most of a continent…in search of a better life. It’s the story of pioneers and refugees, adventurers and scholars; a story of courage, renewal, and assimilation; a story of success. Produced by Polar Bear Entertainment Inc.